Undefeated WBC Youth middleweight prospect Mekhrubon Sanginov (6-0, 4 KOs), scored an impressive third round TKO over Carlos Lopez, this past Saturday in Tijuana, MX. 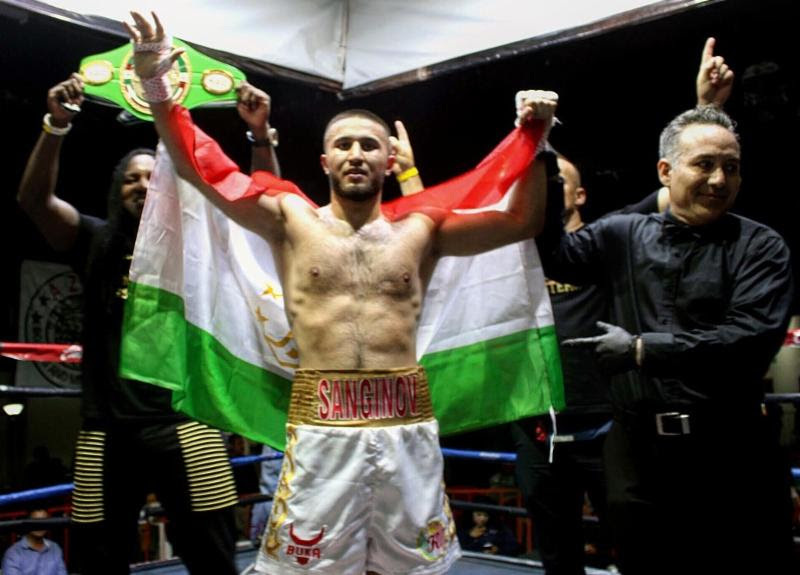 Sanginov, who trains out of Las Vegas by way of Dushanbe, Tajikistan, took the fight to Lopez from the opening round. Sanginov, who has power in both hands, landed some devastating hooks to the head of Lopez in the first two rounds, softening up him up. After landing a powerful straight right cross to the face of Lopez in the middle of round three, Sanginov was able to end the fight with a TKO victory. With the win, Sanginov extends his winning streak to six in a row. Sanginov is a promotional free agent. His goal is to sign with a promoter and stay busy, fighting at least three more times before the end of the year.